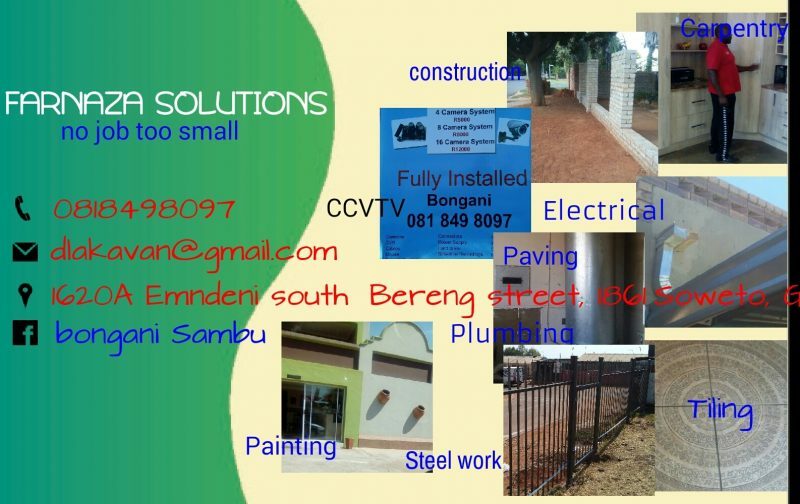 Farnaza Solutions Home Improvements – Gauteng. No project too small, including electrical, steel works, plumbing, building, tiling… maintenance is our game! Contact us for your handyman services at 0815990533 or send an email to dlakavan@gmail.com.